We’d previously reported in 2017 of the intention of famed animation producers Studio Ghibli to open a theme park based on their collective works in Japan, but now we have a more clear date of when and where that park will open. According to Japan Times, the park will open in central Japan, near the city of Nagoya in Aichi Prefecture, in the year 2022. This comes via an announcement by the regional government, and should therefore be considered a legitimate estimate. Studio Ghibli is of course most intimately associated with cofounder Hayao Miyazaki, the director who brought the studio its most prominent successes. Miyazaki films such as Spirited Away and Howl’s Moving Castle garnered worldwide critical acclaim and attention for Ghibli, making them into the country’s most famous producer of animation. 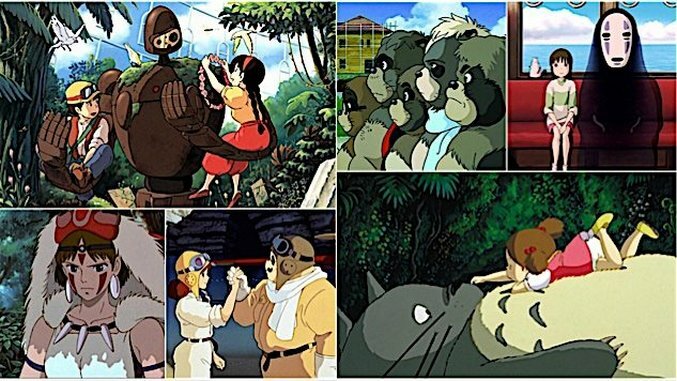 Along the way, Miyazaki (and other directors who should not be forgotten) helped expose the world to unique styles of Japanese animation, having a massive influence on the development of new animation all around the world. It you ask us, it sounds like a pretty fabulous concept, and one that possesses a certain sense of gravitas that you wouldn’t find at say, a Hello Kitty amusement park. Construction cost is unknown, but one has to assume it will be plenty steep, if they really want to bring the imagination of Hayao Miyazaki to life. That kind of construction won’t come cheap. However, the owners can be sure that the park will be a worldwide tourism destination, as lovers of Japanese animation will no doubt make the trek all the way to Japan in order to experience it. In fact, tourists already do travel to Japan just to visit the popular Ghibli Museum located in Tokyo. We’ll provide more updates about the theme park as it begins to actually come together, but we’re excited to see some of the first concept art. What kind of rides would you like to see at a Studio Ghibli park? Which movies should receive the biggest spotlight? We’ll just have to wait and see what properties Ghibli chooses to highlight.